ARTISAN® Phakic IOLs are iris fixated IOLs used in refractive surgery for the correction of Myopia, Hyperopia and Astigmatism.The ARTISAN® lenses are manufactured from PMMA CQ-UV, and are available in negative and positive powers. The power calculations are based on the “Van der Heijde” formula. 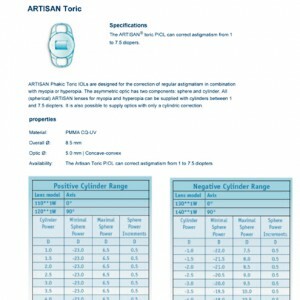 For the implantation of ARTISAN® PIOLs special ARTISAN® instruments and devices are available. Based on the long term experience of Iris Fixation, the ARTISAN® Aphakia IOL is a predictable, safe, high precision implant, that corrects the eye when it is not correctable by other means. 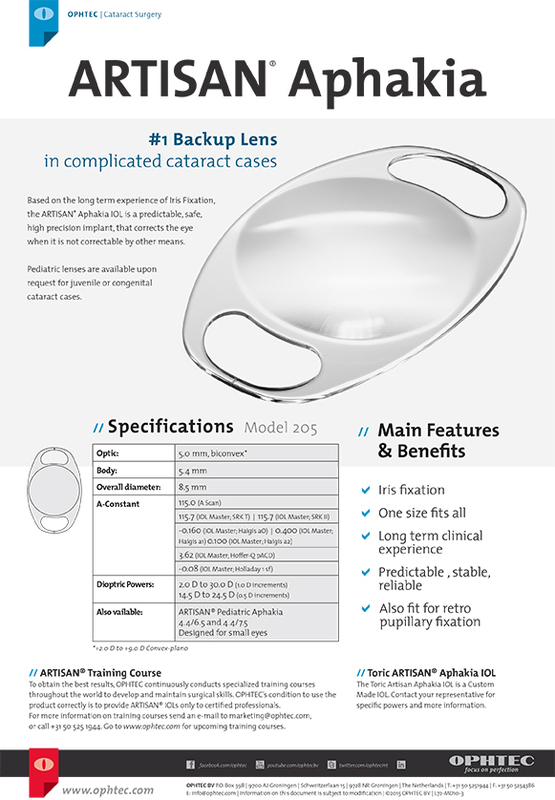 Pediatric lenses are available upon request for juvenile or congenital cataract cases. 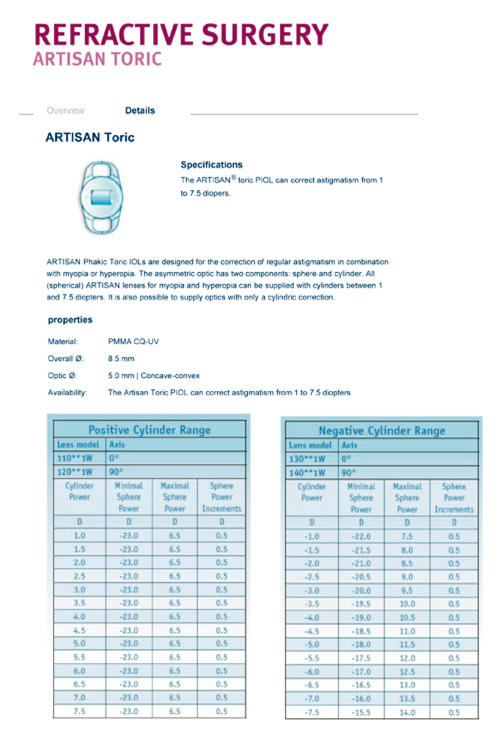 ARTISAN® Phakic IOLs have a vaulted design. 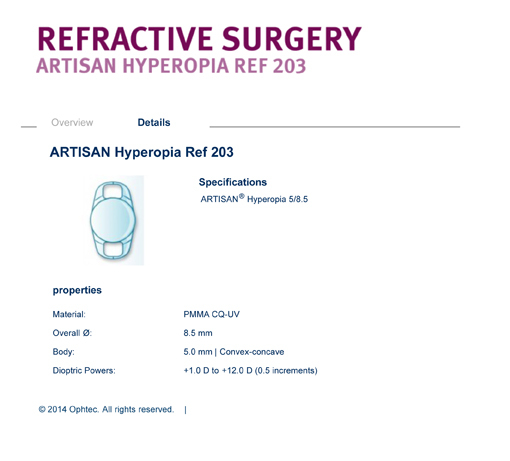 This provides optimal clearance between the PIOL and the crystalline lens and between the PIOL and the cornea. 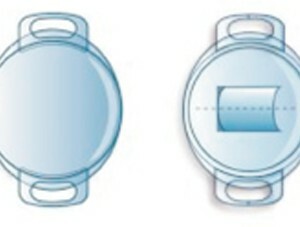 The Artisan Phakic Intra Ocular Lenses show in cross-section a low profile within the eye. The distance from the edge of the optic to the corneal endothelium is approximately >1.0 mm, depending on the AC Depth and the dioptric power. 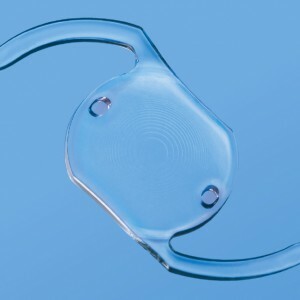 A free flow of aqueous is ensured by the vaulted lens design and four lateral side ports. The potential for pupillary block is minimized. However, it is important to perform an iridectomy or iridotomy. An iridotomy is especially advised: -for cosmetic reasons -to prevent incidental remarks about seeing your own eyelashes. The Artisan Myopia Lens with 6 mm optic (model 204) is recommended for patients who are prone to night vision disturbances. Due to the larger optic, the risk of glare and halos can be significantly reduced. Artisan lenses are made compression molded PMMA. During the Compression Molding process the molecular structure of PMMA is enhanced by redistributing the molecules into longer chains. This results in a much stronger material. 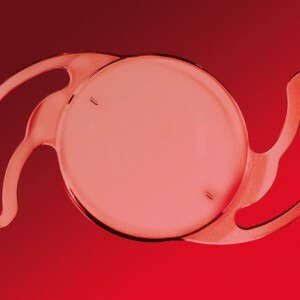 Compression Molding Technology gives a high tensile strength, combined with superb flexibility of the lens haptics. The risk of fracture is minimal. 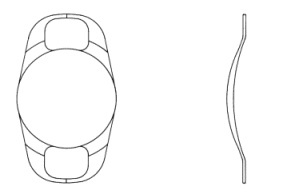 The tumbling process gives a special surface treatment to the PMMA Lenses. Ultra smoothness of the haptics is the result. Attrezzature, strumenti e prodotti di consumo per gli specialisti del settore, dalla sala operatoria allo studio privato, fino al rivenditore di ottica.